In his exclusive column, Philip Law, Director General of the British Plastics Federation (BPF) gives a roundup of a busy month filled with meetings, round table discussions and active responses to consultations as the political spotlight intensifies on plastics. Whilst the negative press coverage of plastics has substantially abated, partly because of press exhaustion with the subject and the lack of anything new to say, the political situation has intensified. Plastics waste is but one of many issues on the government agenda and the attention of Ministers is very much preoccupied by Brexit and the occupancy of leadership positions in the government, indeed the leadership itself. Protagonists in the waste issue, such as Michael Gove, are acting as government firemen, despatched to resolve issues way outside of their formal brief. A new dimension has been introduced with the government's commitment to fund the NHS to a much higher level. This has highlighted that the government is clearly strapped for cash. 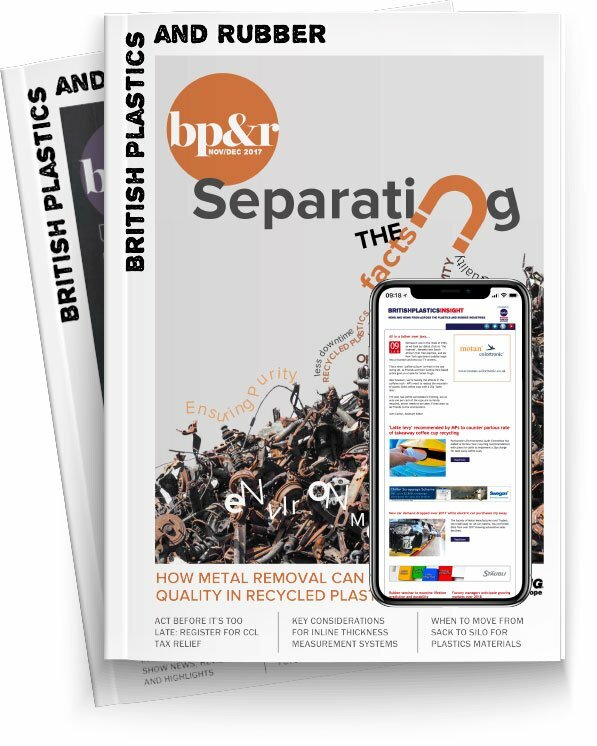 The temptation to target the plastics using sector for a 'smash-and-grab' raid must be high – and this is something the BPF is working to avert. We are diligently responding to any number of individual government consultations on ‘single-use plastics’ etc. We have attended round table meetings with Michael Gove, we have had one on one meeting with the Treasury Minister, Robert Jenrick, and we have had further round table meetings with him. We have arranged for Treasury civil servants to visit member firms to better understand the financial dynamics of the industry. Yet the mists swirling around the government are still obscuring how all these initiatives, both UK and EU, will be interpreted and synthesised into government action. It is pretty certain that the Budget in November will provide the conclusion. We are working intensively to influence MPs and we have had lengthy meetings with three this week. I had a meeting with Theresa May's Political Director at No 10. Downing Street on 10th July and Industry Minister Richard Harrington, on the 12th July. We have a meeting manned later in the month with the Policy Director of the Conservative Party. We also want companies in the industry to engage with their MP. There's a lot of helpful material on the BPF website. So, what do you say when you are in front of an MP? Tell him/her that we share the objective of eliminating plastics waste; that we are recycling a lot already, we are extraordinarily innovative, constantly changing to provide society with what it wants as it evolves; that we are a huge economic asset to the UK which needs protecting to provide the high tech industrial base of the future. Indeed, that government attention should focus on the reform of the PRN system and that monies should remain in the system to help develop collection, sorting and recycling infrastructure and new technologies; how a smash-and-grab raid would send out negative signals internationally at a time when we need to be establishing the UK as a global trading partner. Finally, that the competitiveness of the plastics industry must be protected domestically and internationally. Help us to help you.